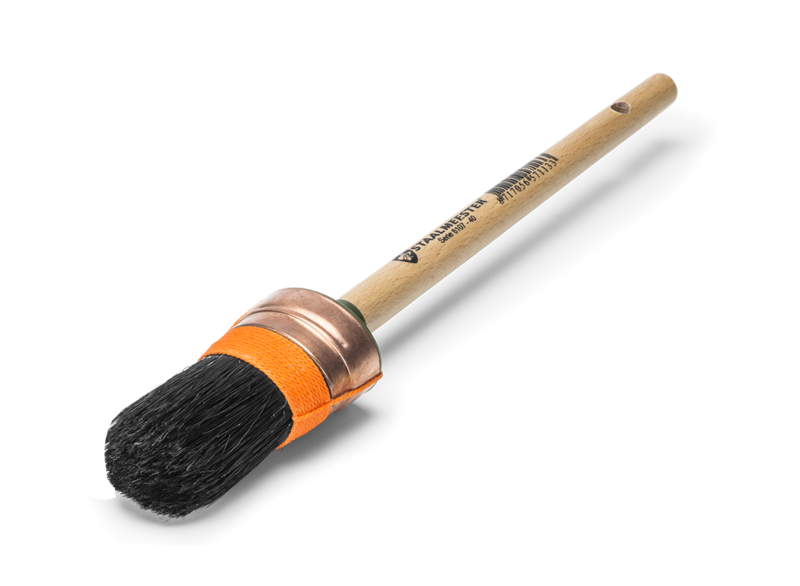 This oval shaped universal paintbrush features the Staalmeester® synthetic blend and is suitable for applying both synthetic and water based paints. The oval shape makes it easy to switch between small and larger surfaces with the same brush. It can be used on small surfaces such as window frames, but also on larger areas such as doors. Pure black China bristle paintbrush suitable for the new generation VOC and solvent-based paints. 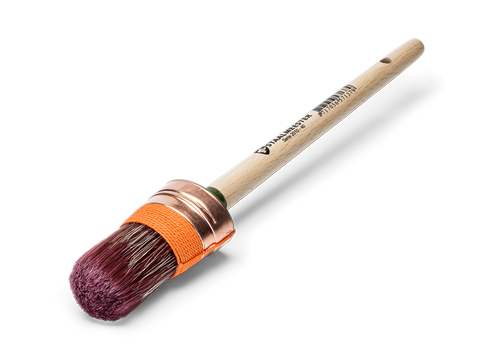 With a beechwood handle and a slightly domed head the paintbrush can be used on different work areas. It’s oval shape makes it easy to use on window frames and/or doors.